Ur new shoes look great for walking! I like the mossy pathway. talking about exercising, it's been two months since i last hit the gym! Gosh I should really start going again. I'm sure it wouldn't be as nice as jogging in a park! Thanks for sharing those beautiful pictures! 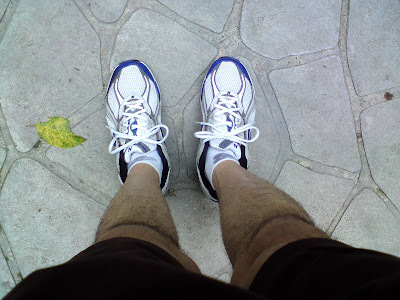 I hope you had a nice jog in those super spiffy shoes!!! Really no one else are in your pictures eh...as if the park are all empty...you jog alone..
Nice place but how come very deserted lorrr. Nice park and nice pictures, Foong. Thanks for sharing them. 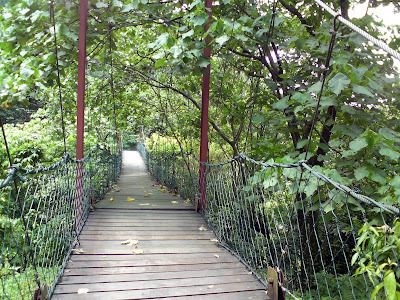 if only my place have a nice park for me to jog...iw ould be reli happy! 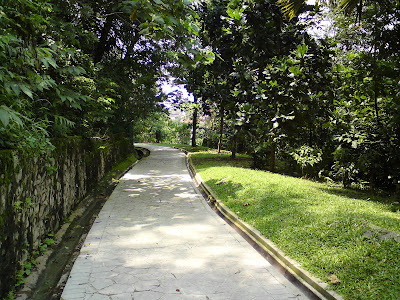 Taman Lembah Kiara? 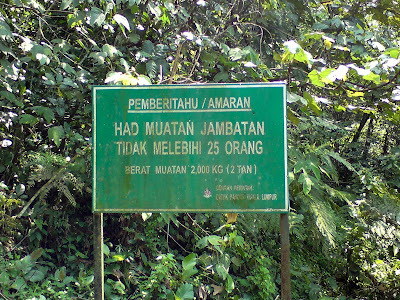 I know there is a hill near TTDI where many people jog. (I used to go there too, but now want to save petrol.) 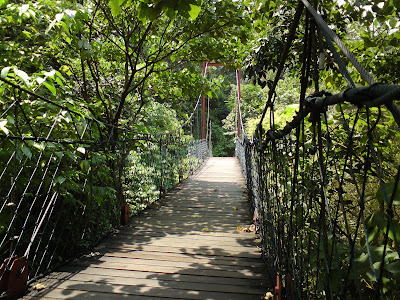 But I don't see the jogging track and suspension bridge. 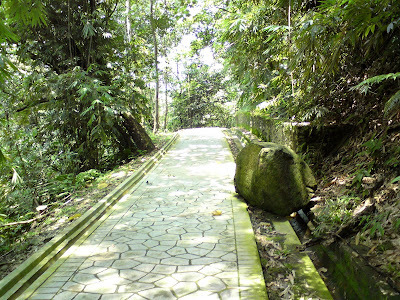 khengsiong, first you have to enter from the entrance with the signboard which says "Taman Lembah Kiara".Then you have to walk up the jogging trail which leads you into the forest and away from the lake. I've been to TTDI many times but I never realized there's a nice park over there. my house is facing a park with a jogging trail but without lake, fountains, waterfall, bridge... LOL! Wow! Nice photos! Nice park!...Nice legs! Hahahahahaha!!! That is a nice place. I agree that taking a walk or jog outdoors in a park is a great way to exercise. ah-bong, thanks for dropping by! Yes, lots of people at the park in the evening, so I always avoid going there at that time. faisal admar, good thing you start exercising again. What is your favourite sport? levian, yeah, not many understand the nice feeling of muscle soreness - I like it so much I actually look forward to it after my workouts. I may even feel a bit disappointed if there's no muscle soreness. No wonder people say I'm weird. Haha!